Microorganisms - Taking a look at Pond Water organisms and more! Taking a Look at Pond Water Organisms and more! Microorganisms are simple, single celled organisms that can be found all around the world. They are largely composed of the members of the plant kingdom, fungi, bacteria and protozoa. As such, they are only visible under the microscope. However, as is the case with some species, microorganisms may cluster together in large numbers (colonies), which allows them to be visible to the naked eye or when using a magnifying glass. 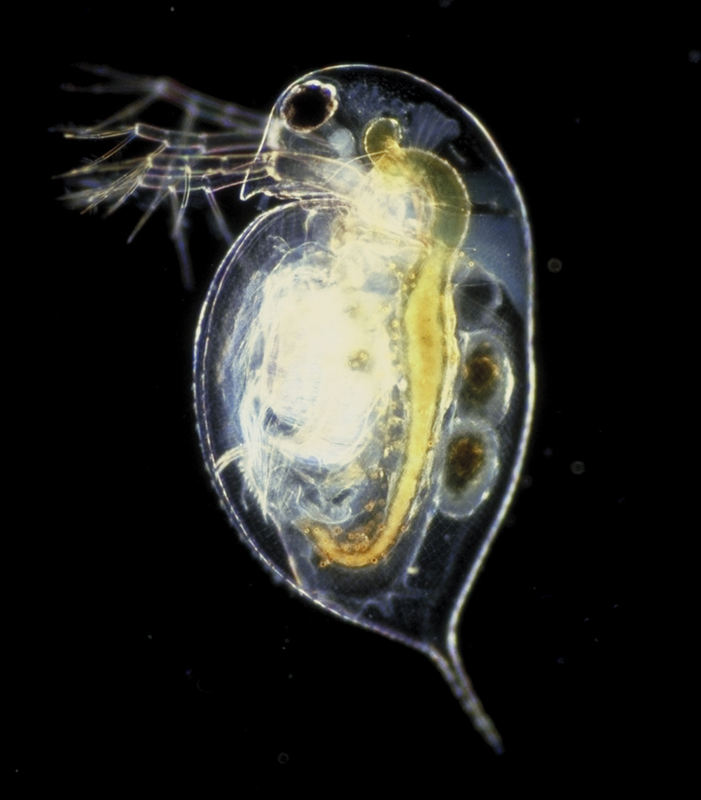 Pond water contains a number of arthropods such as copepods, water fleas and ostracods (crustaceans). 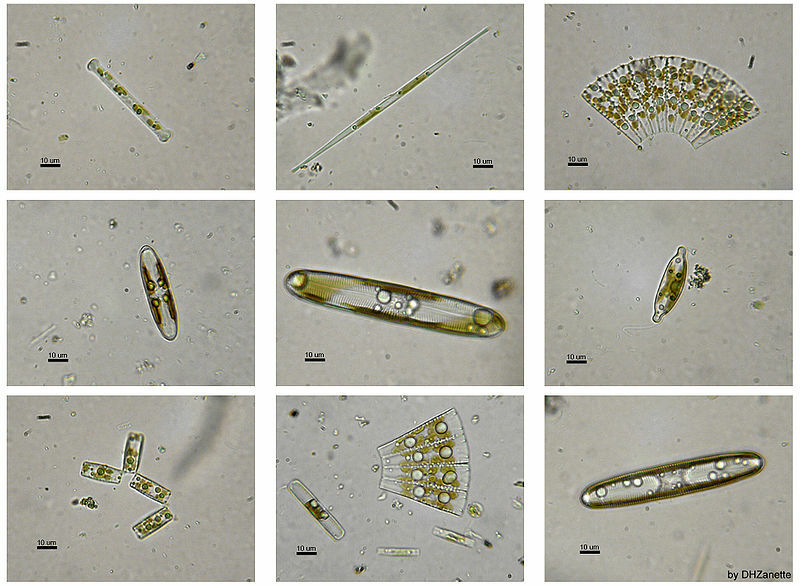 These types of microorganisms are visible to the naked eye (with the largest specimen exceeding 3 millimeters in length), and can therefore be seen without the use of a microscope. Some of the other organisms in this group include among others; water mites, mosquito larvae, water bears (tardigrades) water shrimp and other larger crustaceans like the water louse. Depending on the type of arthropod, some will be found on the surface (most insects) while others can only survive in the water as is the case with most crustaceans. Bacteria are some of the smallest and abundant microorganisms in all aquatic systems. In favorable conditions (E.g. after rainfall) bacteria can multiply and increase dramatically to their millions (millions per milliliter) within a short period of time. In pond water, bacteria can be found on the surface of different types of decaying material such as leaves, metallic objects, rocks or wood. This is one of the reasons an individual may get a serious infection after being scratched by such objects. There are different types of bacteria that can be found in a pond including autotrophic and heterotrophic bacteria. Whereas autotrophic often categorized as algae (bring primary producers) heterotrophic bacteria play a major role in the decomposition of organic matter. While heterotrophic bacteria are often categorized as "algae" it is important to note that they are not closely related to algae. These not only make up the larger percentage of living organisms in such aquatic systems, but also tend to display the greatest range of metabolic group as compared to others. Nostac and anabaena are some of the most common bacteria that can be found in pond water. Being cyanobacteria, they are also responsible for the greenish coloration of pond water. Being animal like, protozoan are very similar to simple animals. These microorganisms make up the largest group of organisms in terms or numbers, diversity as well as biomass. 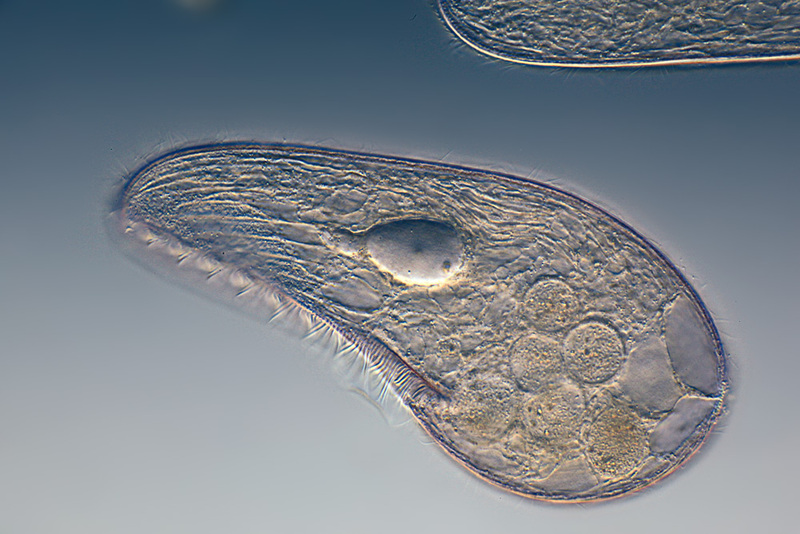 As such, protozoa widely vary in terms shape, size and features. Protozoa are also an example of microorganisms that may form clusters (colonies). Like bacteria, there are autotrophic and heterotrophic bacteria. Unlike bacteria however, these also tend to consume a variety of other organisms; including algae and other protists. With the other microorganisms found in pond water, protozoa makes up the bio-film that coats sediments as well as other had surfaces. Their ability to move makes it possible for them to move from one place to another without heavily relying on water movement. As such, they can move around consuming other organisms. 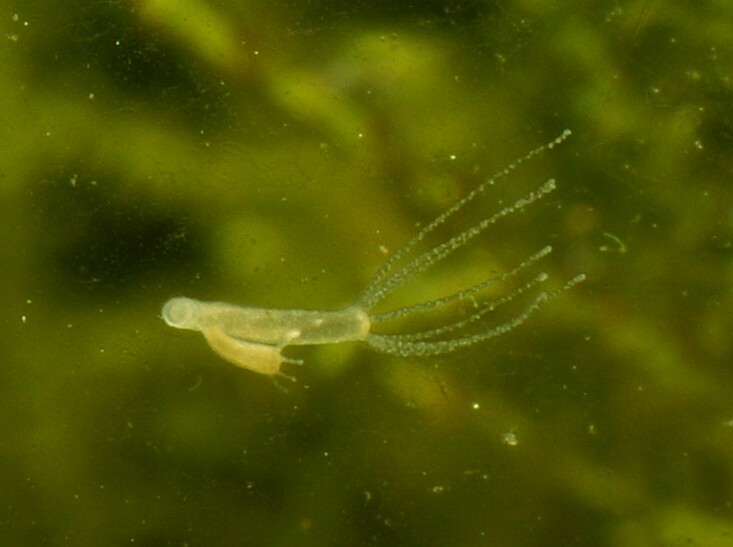 Some of the most common protozoa that can be found in pond water include amoebas, paramecium and a number of ciliates. 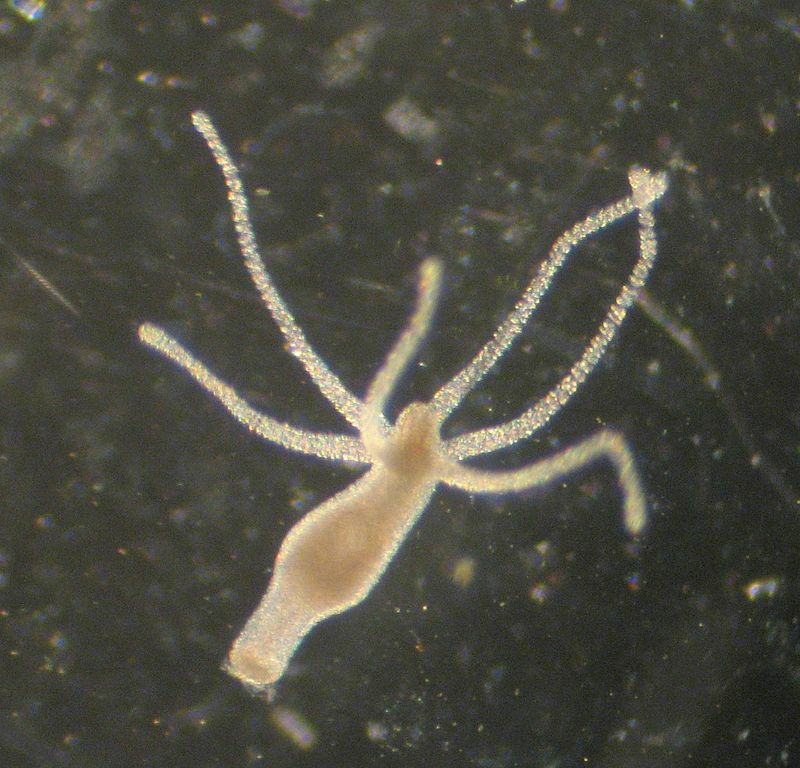 Hydra belongs to the class hydrozoa, most members of which can be found in marine water. However, hydras are mostly found in pond water and tend to be predatory animals, which hunt their prey. A majority of these microorganisms tend to be small, only growing to be about 30 mm long when they are fully extended. To the naked eyes, hydra can barely be seen, and therefore at least a hand lens would be required to get a good look at them. There are different types of hydra with colors ranging from green to brown. The green color of some of these microorganisms is as a result of green algae, with which they have a mutually beneficial relationship. It is as a result of this relationship that some students may mistake hydras as belonging to the plant kingdom. Although they will mostly be found attached to a given surface, they can detach and move from one spot to another either by gliding along the surface or simply by "somersaulting" along the surface they are attached to (substratum). Algae are autotrophic protists that can be found in pond water. Most of these microorganisms are green in color, while a few may be yellowish-brown. Algae are also diverse, and may either be unicellular or multicellular. Some of the most common forms of algae that may be found in pond water include spongomonas, euglena as well as chlamydomonas. While some of these microorganisms (chlamydomonas) swim freely in search of food, others (spongomonas) live in gelatinous matrices and use special features to collect food without moving from one point to another. Pond water is also fresh water. For this reason, the two terms may be used interchangeably when talk about the types of microorganisms found in pond water. On the other hand, given that there are a variety of microorganisms that can found in ponds, it is also important to keep in mind that not all microorganisms are protists. This is because of the fact that the term is only used to refer to the group of diverse eukaryotic, which may share certain traits with animal and plants. For this reason, most bacteria cannot be described as protists because their traits and structures differentiate them from members of the protist group. Take a look at our page on Coliforms and Fungi.